Getting your home ready to sell can be a time-consuming project unless you’ve been doing an A+ job with home maintenance all along the way. 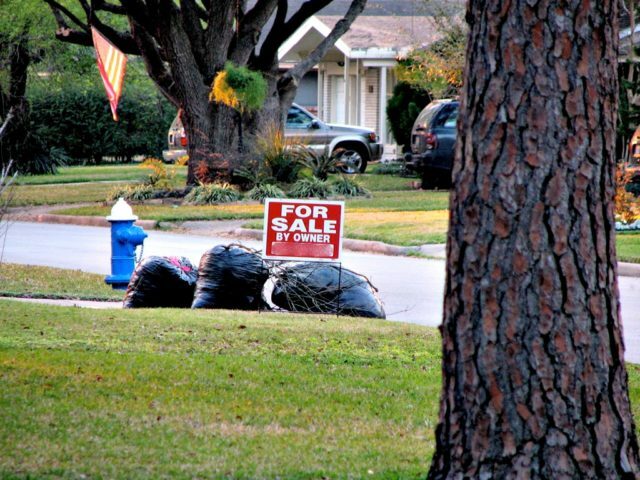 Everyone knows that curb appeal is on the top of the list when it comes to preparing your home for sale. There are also several other areas of your home and property that you should get in top notch shape in anticipation of your showing — if you want to sell your home quickly. But my tips today will focus on the exterior of your home (including the landscape) and will help you turn home browsers into home buyers! Plant some flowers. If you don’t already have some flower beds in full bloom, consider planting a couple of different types of annuals en masse. Stick with only a single color (or two) — for a more dramatic effect. Depending on the size of your yard, you should have flowerbeds located near the driveway, leading to the front door, and around the porch. Freshen up the landscaping. If you have existing flower beds, be sure and put down some fresh mulch — such as pine straw, cypress mulch, pine bark nuggets, or even small pebbles. Fresh mulch will make your landscape look well-kept. If you don’t want to go to the trouble of planting flower beds, then consider buying some potted plants and lining your porch steps and sidewalk with them. Be creative, but keep it clutter-free. Don’t go overboard! Trim the bushes. If you have bushes planted in front of windows, be sure they are trimmed low. The same thing goes for bushes and trees around your front entryway. Limbs and bushes need to be trimmed back — so Johnny Burglar doesn’t have a leg up on you. It also just looks neater. Powerwash the driveway, the house, and the sidewalk. It will do wonders to brighten the look of your home. Powerwash the fence while you’re at it. A new coat of paint on the front door and fence might not be a bad idea either. Consider giving your home a fresh coat of paint — if it needs it. Make sure all of your windows are sparkling clean. Improve your front door. If need be, install new door hardware. If your budget doesn’t permit the cost of new hardware, then polish the hardware you have. Keep the yard mowed and watered. You want your lawn to look well-kept the entire time that your home is for sale. Fertilization should be in your regular maintenance program to keep your lawn healthy and weed-free. De-clutter. Stow away any items that clutter your yard. If you have an abundance of kids toys, yard statues, or garden tools cluttering the yard, consider putting most or all of them in storage. Look at your gutters. Clean the gutters and make sure they are in good shape. Check the roof for missing shingles, and trim low hanging branches away from your roof while you’re up there. Keep the cars in the garage. All cars should fit in the garage. If they don’t, have a garage sale and clear the clutter to make room for your vehicles. Any additional boats, trailers, and vehicles not in use should go to storage. Now take another look at your property. If you were a homebuyer, would you want to buy this house?